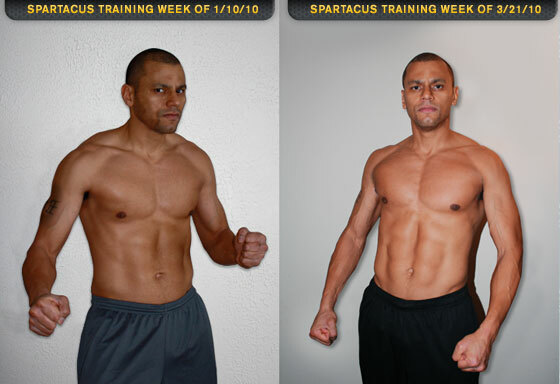 I have done the Spartacus Workout roughly twenty four times from 1/16/10 till now. The workout is tough, it gets my heart pumping, muscles burning and my mind saying “Just one more set, keep swinging, breath!” Then stinging sweat saturated drips into my eyes. Midway through the second circuit I take off my shirt because it’s soaked. The cool down actually helps me make it through the routine. 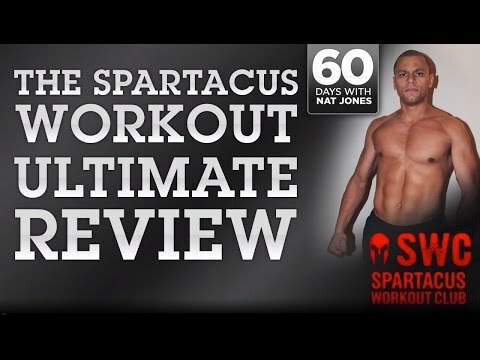 This workout still holds the mantel of the hardest workout I have ever done. Depending on how much rest I get ,I can push more weight. Trying to do this routine after a 30 minute warm up run will leave you feeling sick. 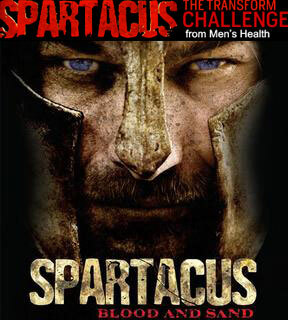 Yes Spartacus lives up to its’ roman heritage and so do the results. 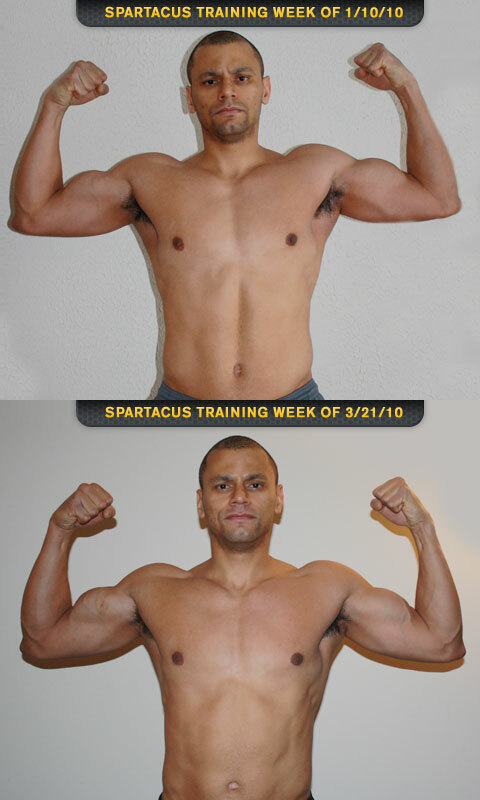 Taking pictures of before and after is a great way to boost your confidence. It also helps to drive you to maintain focus and stay driven. We are all visual creatures and seeing is believing. 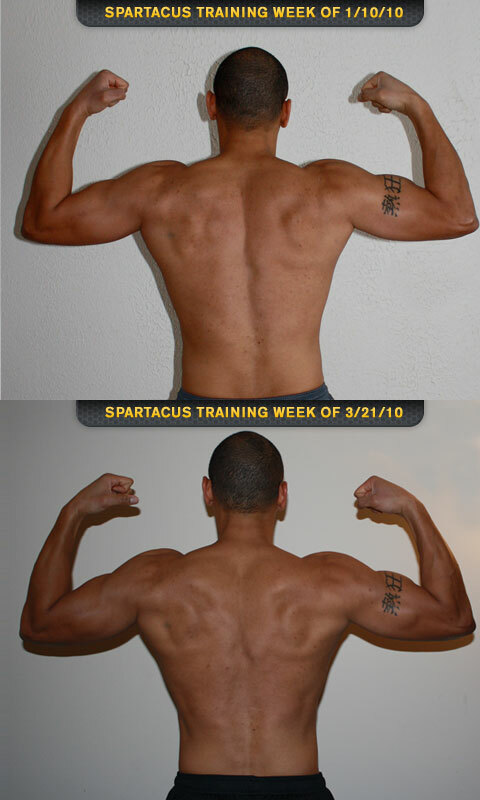 Below are my latest gains while working out with Spartacus and eating right. I have to get some better lighting, these images are loosing some definition that really shows the difference in the comparison.